 The Scene Magazine - Page 4553 of 4581 - What's up Toronto? Glenn Tizzard of Distortion bar has been the primary owner since July 2010 and hes managed to turn this obscure rock bar into one of the leading live entertainment destinations in St.Johns. With names such as Iron Giant, Death Valley Driver, Shevil and Motorleague, gracing the stage in the past year, any hard/rock metal fan will be in Dio heaven! A 5000 Watt PA, a new lighting system and constant upgrades to the stage, make any pro road dog feel at home. Its safe to say that you dont have to worry about sound issues when seeing a band at Distortion, see our review of Shevil where Lola Sutton explains the sound as nothing short of thunder cashing. So whats next for Distortion? A new promo team is in place for 2012 including Adam Baxter, Steve Abbott (Be Alright, Geinus), Joel Upshall (Commoname, Children of Eve). White Cowbell Oklahoma from Toronto perform there this weekend.